New Delhi: Union Health Minister J P Nadda today said the government had formulated a national policy for “rare diseases”, while asserting that the process of preparing a registry of such diseases was already initiated. He also said full support from the government to provide cost-effective management and investigation facilities to the patients suffering from rare diseases would be provided. 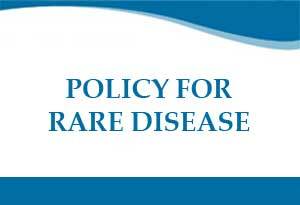 “The government has formulated a national policy for rare diseases. The process of preparing a registry of rare diseases has already been initiated by the health ministry,” Nadda said, after inaugurating a day-long conference to mark the “World Rare Disease Day” here. Union minister Jitendra Singh was also present on the occasion. Nadda said even though the prevalence of such diseases was very low, but the government had formed a body to focus on this area of healthcare, both directly by the health ministry as well as by other agencies affiliated to it. A newsletter published by the “Indian Organisation of Rare diseases” was also released on the occasion. Noting that it was an irony that the “rare diseases” were rarely discussed, Singh pointed out that the reason for this was that the healthcare system of the country was preoccupied with more prevalent diseases, while these “rare diseases”, usually genetic or existing from the birth, had a prevalence of hardly about seven per cent. He said most of the literature available on these diseases was written by Western authors. Even the definition was based on Western inferences, like in the USA, a disease was said to be “rare” if it affected less than two lakh people, while in Europe, it was categorised as a “rare” disease if it affected not more than five persons per 10,000 people, Singh said. “Therefore, there is a dire need of compiling the Indian data for these diseases, based on the epidemiological, phenotype and other factors peculiar to India,” he added. Singh said in the larger perspective, some of the diseases, which were rare in India till about three decades ago, had suddenly become widely prevalent throughout the country. Good initiative. There is a need to move towards building data on various health conditions. This body of data science will help in contribution of our understanding and bolster the existing evidence based medicine. The problem is that there is no registries for most common diseases.